Edited by Antalyan at 16:30, 22 Jul 2018. I have a pleasure to announce an amazing H7 project we've been working on for 2 years! Here it comes, Wryn Pendragon: Umbramancer! We are still looking for new people to help with this giant project (see the bottom of the project page). !!!! posted July 28, 2018 04:29 PM bonus applied by Brukernavn on 27 Feb 2019. Edited by lordgraa at 16:30, 28 Jul 2018. 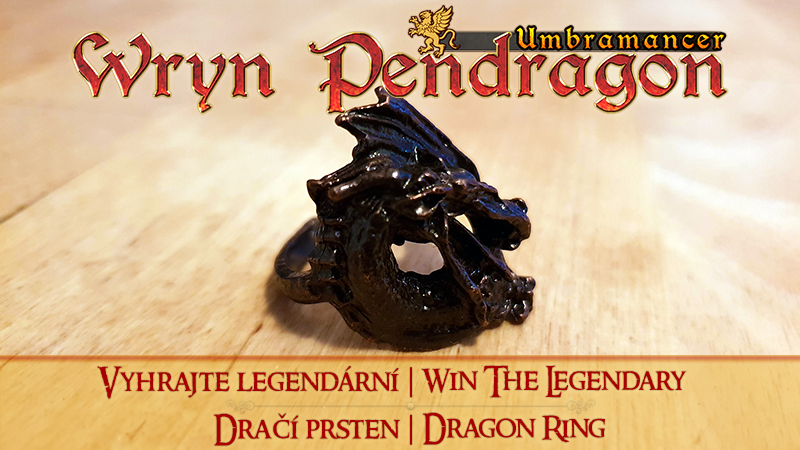 If you join the upcoming Wryn Pendragon: Umbramancer open beta, you get the chance to win one of the seven legendary rings that are the mark of Umbramancers. But worry not m8, as long as there is at least one person following my project, I am content. And as you said H7 is not popular but for me it is one of the easiest moddable game from the series (thanks to Unreal engine). Edited by MoritzBradtke at 19:08, 30 Jul 2018.
just out of curiousity, what did u spend so much Money on? Mostly on models of new units. did u give orders somewhere? or just had luck with models being there u wanted? Edited by lordgraa at 09:52, 01 Aug 2018. Well one can ask for custom model with animations but that will cost a fortune... but there are plenty of interesting models so it was no problem at all. I was ready to ask Paul A. Romero for a Xel town theme but then I realized it would be a waste of time - not only you cannot import custom sound/music, but there is also no way how to link new town music (all the towns are already set and apart breaking the source code you cannot add new line). Edited by NimoStar at 07:19, 01 Aug 2018. Well, you know both languages and your english seemspretty ok so why not try your hand with it? You could use google translate as the base and correct from there. I think the great obstcle to attention is that nobody knows who this "Wryn Pendragon" is or why should we care about umbramancy or what the Xel town represents... we need more promotional material explaining stuff like background and story. Cannot open open beta links. The whole Xel town, including buildings and townscreen. Does not answer what the Xel town is. Are they wizards? Something to do with Alchemy? Aliens? Monsters? Etc... see, on the gameplay and content and graphics is is alright, but there is not readily available information about the world. Impressive, waiting for the beta release to check it out, thanks for suopporting the game community. Edited by Heligrin at 07:54, 07 Aug 2018. It includes a lot of information about the world. As I said, everything you need to know is there More will be revealed during the campaigns. "You can play for and against the new creatures (and factions) only on the project maps." Does that count for all the other features of the add on too? Like arifacts and more?